Barnaby Hosking (born 1976, Norwich) graduated from the Royal College of Art in 2003. He has had solo exhibitions in Europe and the USA and has exhibited in Russia and Japan. Hosking lives and works in London. 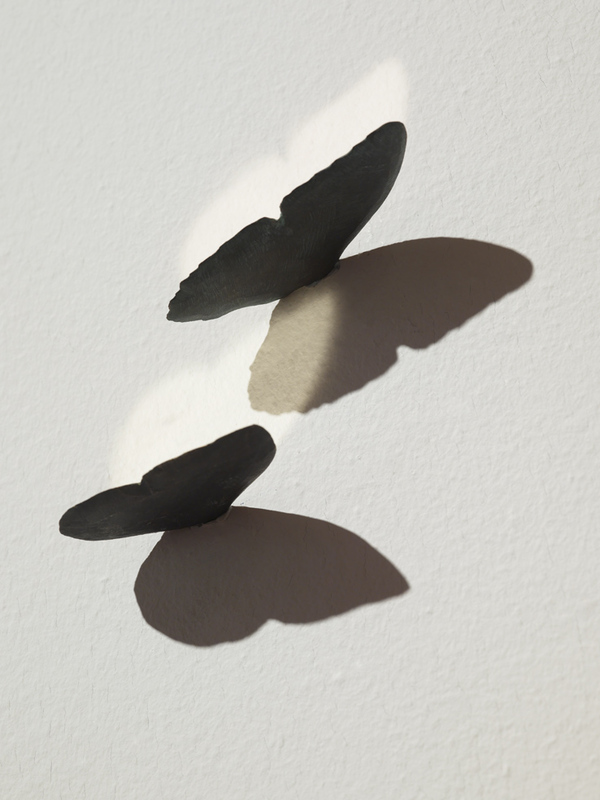 Exploring the importance of darkness, as both a visual and a psychological stimulus, Hosking creates works that play with the aesthetic of light, dark, space and surface. 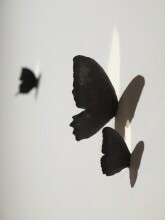 With Thoughts, butterflies serve as a symbol of our inner wonderings. 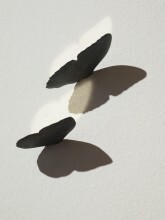 The luminous and dark surfaces of the individual butterfly wings project both the positive and the negative through elementary strategies of reflection and shadow. Just as the nebulousness of thoughts allows them to shift between positive and negative without certain distinction, so these clusters of light and darkness project the duality of thinking.